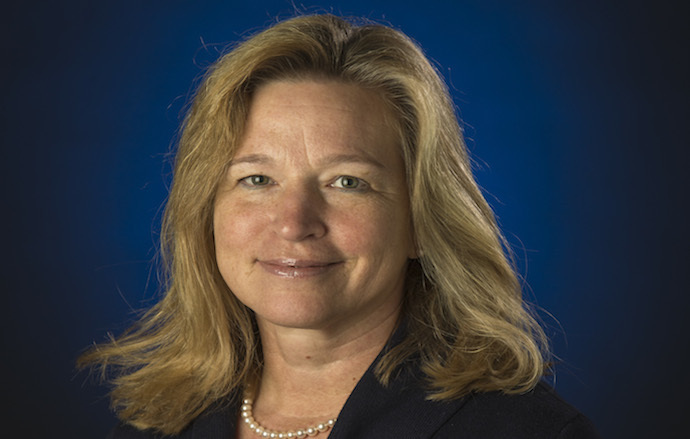 Dr. Ellen Stofan was appointed NASA chief scientist on August 25, 2013, serving as principal advisor to NASA Administrator Charles Bolden on the agency's science programs and science-related strategic planning and investments. Prior to her appointment, Stofan was vice president of Proxemy Research in Laytonsville, Md., and honorary professor in the department of Earth sciences at University College London in England. Her research has focused on the geology of Venus, Mars, Saturn's moon Titan, and Earth. Stofan is an associate member of the Cassini Mission to Saturn Radar Team and a co-investigator on the Mars Express Mission's MARSIS sounder. She also was principal investigator on the Titan Mare Explorer, a proposed mission to send a floating lander to a sea on Titan. Her appointment as chief scientist marks a return to NASA for Dr. Stofan. From 1991 through 2000, she held a number of senior scientist positions at NASA's Jet Propulsion Laboratory in Pasadena, Calif., including chief scientist for NASA's New Millennium Program, deputy project scientist for the Magellan Mission to Venus, and experiment scientist for SIR-C, an instrument that provided radar images of Earth on two shuttle flights in 1994. Stofan holds master and doctorate degrees in geological sciences from Brown University in Providence, R.I., and a bachelor's degree from the College of William and Mary in Williamsburg, Va. She has received many awards and honors, including the Presidential Early Career Award for Scientists and Engineers. Stofan has authored and published numerous professional papers, books and book chapters, and has chaired committees including the National Research Council Inner Planets Panel for the recent Planetary Science Decadal Survey and the Venus Exploration Analysis Group.